First broadcast on Resonance 104.4 FM in London, 8pm, 5th July 2013. 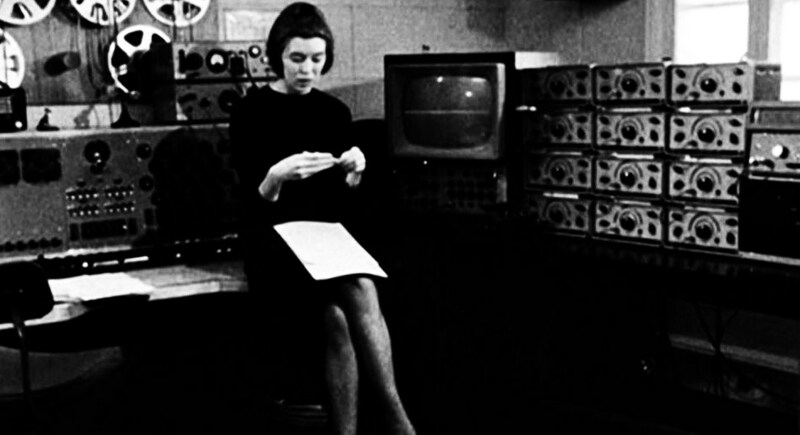 Woman and machines: Delia Derbyshire in Room 12, BBC Maida Vale studios. Delia Derbyshire on BBC Radio Scotland’s ‘Original Masters’ in 1997. Electronic music pioneer Delia Derbyshire is best known for realising Ron Grainer’s ‘Dr Who’ theme, and for her work at the BBC’s Radiophonic Workshop. Less well known is her work for film, theatre, and collaborations with the likes of Paul McCartney, Yoko Ono and Anthony Newley. Delia didn’t ride on Tony Newley’s coat tails to fame and fortune on Broadway, or in Hollywood. She left the BBC in 1973, unhappy with changes that were then being introduced by BBC Management, and stopped making music altogether until the 1990s. Yet while Newley – one of the biggest musical stars of the Sixties – seems to have risen without trace, the cult, or culture, of Delia Derbyshire is growing all the time. The growth of interest in Delia’s music has increased exponentially following the discovery, a few years after her death in 2001, of 267 spools of “lost” music: tapes loops, found sounds, home recordings from the radio, and preparatory work for her BBC and other compositions. In January 2013, hundreds of people gathered in Manchester for the first Delia Derbyshire Day to listen to a selection of these tapes, and to music inspired by them and composed especially for the event by contemporary sound artists. ‘The Future is Handmade’ gives Resonance FM listeners who may have missed Delia Day a chance to hear field recordings of the event. Presenter Tim Concannon also talks to academics at Manchester University where Delia’s tapes are now conserved, and to Delia’s fans and friends about the love people feel a decade after her death for the intricate pieces of music she created by hand from small sections of magnetic tape. 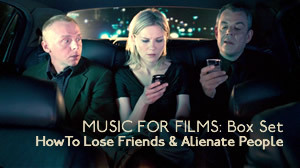 Contributors include David Butler and David Berezan of Manchester University, music journalist Catherine Aubergine, one of the Delia Day organisers Caro C, and Radiophonic Workshop archivist, composer and sound designer Mark Ayers. The Delia Derbyshire Day 2013 organisers are Caro C, Ailís Ní Ríain and Naomi Kashiwagi. 13 min field recordings from Delia Derbyshire Day 2013 at Band in the Wall, Manchester, organised by Caro C, Ailís Ní Ríain and Naomi Kashiwagi.